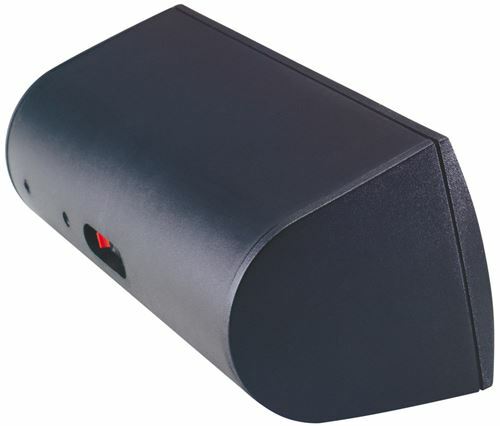 Dual 4" 50W RMS Speaker - Black (also available in white - stand in picture not included). Wall mountable, multi-purpose speaker for producing beautiful music and realistic movie experiences. Resists moisture for use outdoors. MTX Audio's Model MP multi-purpose speakers can perform in many roles. They are optimized for use in high performance audio systems and for recreating rich home theater movie experiences. And MPs were engineered for indoors or to handle extreme weather conditions outdoors. Though they suit many different needs, they achieve one goal - great sound. For your home theater, Model MP speakers offer a limitless set of choices for LCR and surround sound applications. Incorporate among your In-wall or floor speakers to create the home theater you desire. And MTX Audio's Multi-purpose speakers are designed with the elements in mind! The materials were selected to minimize the effects of damp conditions. Aluminum grilles, stainless-steel and solid brass hardware with rubber surrounds, and polypropylene woofer cones. 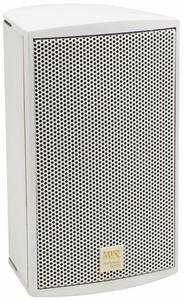 Wet, dry, hot or cold weather - this speaker continues to perform. This way, you can use the same speaker on the patio that you have inside in the home theater.